Promo Info: Time Limited This discounts maybe time limited. Don't miss it! Free shipping & Money Back GuaranteeThe system will send you the register license free via E-mail. Kernel for Notes Contacts to Outlook is a professional and advanced tool specially designed for accessing Lotus Notes contacts with MS Outlook by converting NSF files of Lotus Notes to PST files of MS Outlook. This software supports exchange from orphan names.nsf file or by directly migrating file from Lotus Domino Server. 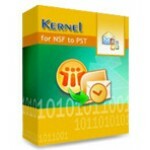 Kernel software helps to solve issues when you face errors messages like: "You are not authorized to perform that operation: names.nsf" while accessing the notes address book file. 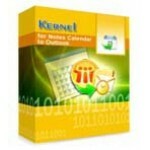 It professionally resolves all errors and lets you convert notes contacts to outlook or excel. You can convert lotus notes contacts without any limit and view them with new .PST or .XLS file or with any existing .PST file. It displays preview of the notes contacts before saving them which can be filtered and previewed alphabetically and numerically in the software. 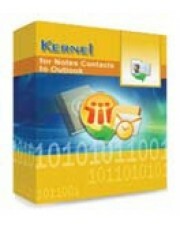 how to use Kernel for Notes Contacts to Outlook? Moyea PPT to video converter is the best PowerPoint to video converter in the world. This PowerPoint to video converter can convert PowerPoint to video, PowerPoint to movie, PowerPoint to audios and even mobile devices as you wish. With stunning performance, Pavtube Blu ray ripper is the best Blu-ray ripping tool. Pavtube Bytecopy is the best Blu ray to MKV converter and the best option to rip and convert commercial Blu-ray movies to MKV container format with multiple audio tracks and subtitles included. Leawo Blu-ray Creator is a combination of Blu-ray burner and DVD creator. Copyright © 2006 - 2013 Moyeamedia Software Co., Ltd. All Rights Reserved.